Create your own classic BLT sandwich. 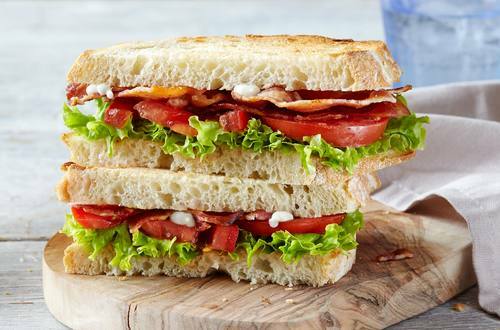 Follow this easy recipe for the all time favorite BLT sandwich everyone loves. 1 Spread Hellmann's® or Best Foods® Light Mayonnaise onto bread slices. Top 2 slices with bacon, tomato and lettuce, then top with remaining bread slices.